Even though this blog is at AaronEiche.com, I tend not to make it very personal. It’s mostly because I don’t really want to expose most of my personal life to the slings and arrows of the internet. However I made a decision a while back to return to school, and it’s gotten me thinking about college, degrees, grades, and everything that goes into them. My senior year of high school was consumed by my trying to make certain I would graduate. College was on my list, but it was not a very high priority. In the end what did push me toward college was me trying to impress a girl (as so often things are). It’s not that I didn’t want to go to college, but simply that I was caught up in living the high-life at home. With virtually no expenses, I had a tremendous amount of disposable cash. My priorities changed, and I applied late for school. I found myself at Montana State University a year after most of my peers. It didn’t really matter. The one person that I knew who was attending stopped the year I started. While I loved my social connections at MSU, I did poorly in most of my classes. The reason is that I’m pretty good at attending class, but lousy at doing my homework. I’m generally too selfish with my time. At MSU I was taking film classes. At the time, MSU was supposedly ranked 5th in the nation for film schools. I had a best friend in high school who knew from 8th grade that he wanted to be a filmmaker. I think I oscillated in and out of various careers in the film industry. I went from director to SFX guy to writer to director to producer. I wasn’t enjoying the “weed out” classes for the film program (imagine that) so my second semester I tried out Computer Science, and thoroughly hated it. I did poorly in the class mostly because I didn’t do the work, but partially because I was using a Mac in a class where we were all supposed to be programming in Java on PCs. This was in the very early days of OS X (still Beta I believe) and I had very limited success getting the particular IDE to work on my Power Mac. It suffices to say that I was responsible for my poor performance, and it would be some time before I returned to school again. When I left MSU I had decided I wanted to serve a mission for my church. I didn’t enroll for classes the next term, and set back for home to pay off the debt I’d incurred. There was a flaw in my plan. Although I’d convinced myself that it was a matter of dedication rather than interest, I once again found myself not enjoying film-making. At this point, quite by accident I found myself building a website and making actual money doing it. A friend was headed on a church mission of her own, and knew that I had some HTML experience. It was true. I’d spent many a night learning HTML and hacking together web pages in my youth. Limited by what I could accomplish with Static pages, I dove into PHP and rounded out the site with dynamic magic. I realized that I didn’t hate programming, and in fact loved it. Most of my college was invested in an art degree. At this point I was becoming sick of the game that post-secondary education is. College seems like a big game sometimes: “Jump through this hoop”, “No, you can’t do that until you do this”, “Do not pass go, do not collect $200”. After film, and some back-and-forth about majors, I settled on English (now convinced I was going to do some writing). In part I fell towards English because the coursework looked appealing and I was doing well in that area anyway. I wasn’t getting where I wanted to be, and I was experiencing success in my uneducated programming life. I’d been hired at a small company developing web software. I was making a lot more money than I ever had, and I was enjoying myself. I took a CS class and did poorly due to laziness. I thought that I’d been well on my way to my Associates of English only to find I was missing 2 or 3 courses. Somewhat reluctantly, I applied for the only degree that I could actually get: An Associates of Science in General Studies. Sick of school and sick of the way it worked, I got my Associates of nothing, and gave up on college. A little more than a year later, my wife and I had moved to Oregon. I was encouraged to give school another shot. My interests had grown some in the time between formal education, and I had begun programming micro-controllers. I was reminded of childhood dreams of building robots and blinking lights. I started again, at Portland Community College. I took a single class, and did quite poorly. I was disappointed and angered. Why didn’t school work for me the way I wanted it to? It was the same reason I had always done poorly. I wasn’t doing the work, I was lazy and selfish. I gave up on school, yet again. In my case, that’s probably a terrible phrase. It would simply mean “Pay some money, screw around, and get nothing of benefit out of it.” Hykel (my wife) convinced me during several conversations that having a degree would always be more beneficial than not. I tried to ignore all the evidence that college would be a better choice. I had been working for more than 5 years as a web developer making as much money as my degree-holding peers. I looked around online for arguments that would support my hypothesis: “The age of college education is over.” While I did find some proponents of this idea – that I could have a productive, wonderful life without having earned a degree, I was also reminded of the advantages that come in college. You learn things in a structured manner, you get theory instead of just practicals, you have opportunities to ask stupid questions without risking anything more than pride. It took some will on my part to push ahead and do it, but this past spring I gave college yet another shot. This time it was going to be different. I promised Hykel I would be responsible, do all my homework, and focus on doing well in the class. I also had a bit of an revelation: The goal of a class no matter what the class, is to learn. If you learn what you’re supposed to, you’ll do well in the class. Grades and performance can be directly related to learning and understanding the material. I had complained so often about already understanding a concept or topic and being irritated that I had to go through a particular class, I never appreciated the value of the class. Next week, I start my second class. Good story. I do remember your film-making and writing days. Matt and I could never remember what you were studying, because you were never doing anything that had anything to do with it. Congratulations, and good luck. Thanks. I can somewhat blame the classes I was taking. They tended to be general so there wasn’t much interesting to do on the side. The other part of that may be that I just wasn’t much interested – hence I was doing something else. After all the years of painfully paying your dues and sorting it all out, it’s great to hear a success story! So what is the goal? 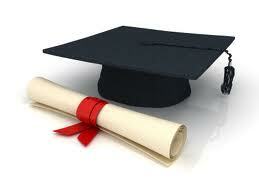 Someday you will graduate with a degree; what will it be? I hope something that will both give you satisfaction and that will make you more valuable to employers, whether at some salary, or as a consultant/contractor. My goal right now for school is to complete a bachelors degree in Electrical Engineering. From there, I have no idea. I’ve spent a lot of my life thinking that school was all about getting a better job/more money. It wasn’t until recently that I discovered the joy of learning, and the value in taking knowledge in the right order at the right pace. That is to say, I don’t know if I’ll end up being a professional EE, or if I’ll just do what I do now: Software Development for the web. I enjoy electronics and know that the school process is a positive one, so I’m confident no matter where I end up afterwards, It will have been a worthwhile effort.